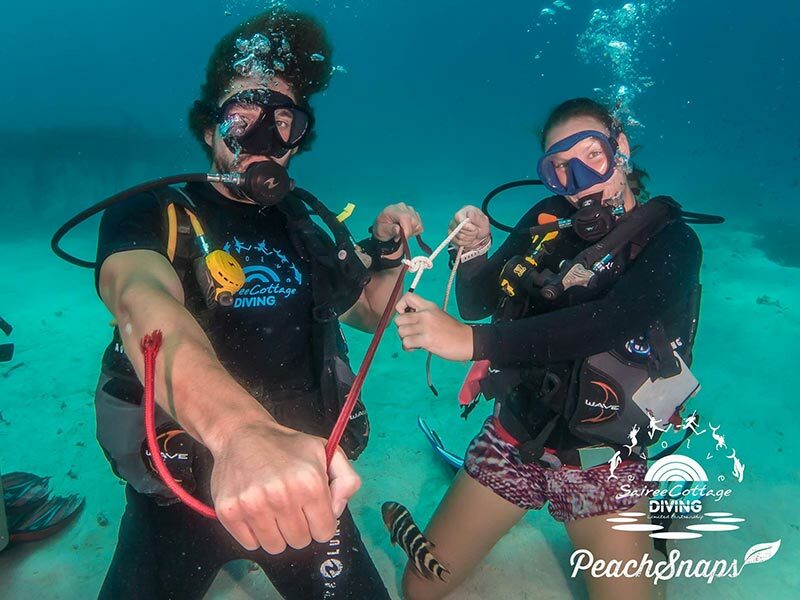 Read about the joys of having a dedicated Divemaster Boat! 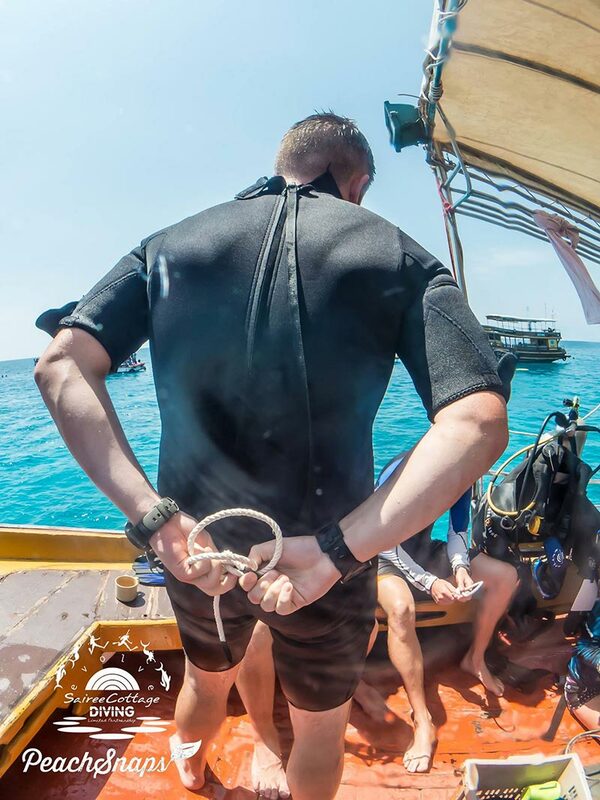 To embark on a PADI Divemaster Course in Koh Tao, Thailand is one of the most rewarding experiences of a lifetime. Not only are you able to live in an exotic, tropical environment, wearing nothing more than a pair of shorts or a bikini 90% of the time (depending on personal preference). You will also be involving yourself with a large quantity of in-water and out-of-water activities. 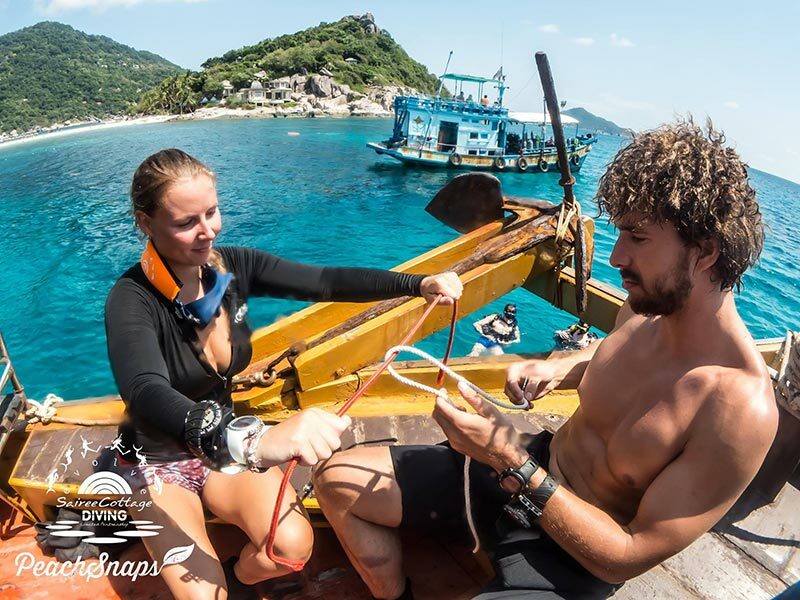 Here at Sairee Cottage Diving Koh Tao we aim to provide the pinnacle of resources to you from the get go to help you complete the course in style. 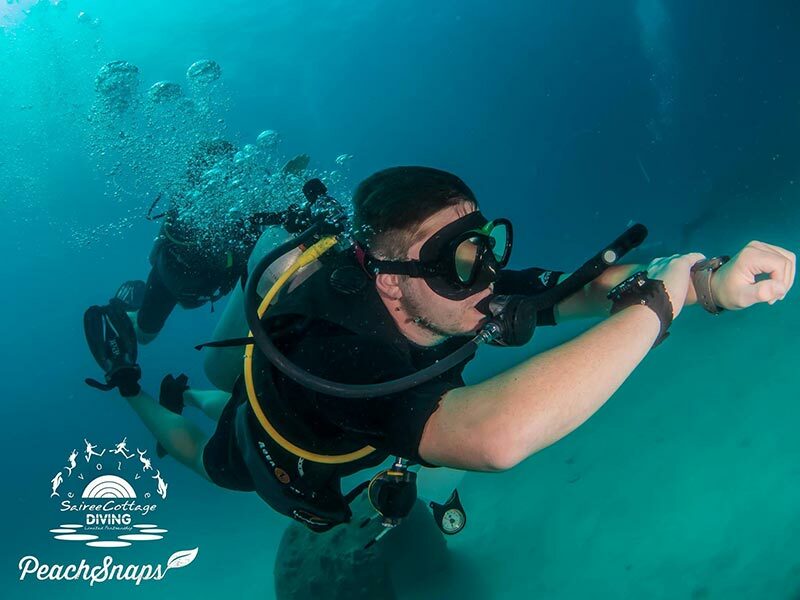 This week we are going to have a little ‘sneak peek’ at a small part of the course to help you understand what is involved in becoming professional PADI Divemaster. Cramming on to dive boats full of new students learning how to dive for the first time during their PADI Open Water Course can be counter productive for PADI Divemaster training as it limits choice of dive sites and dive time. 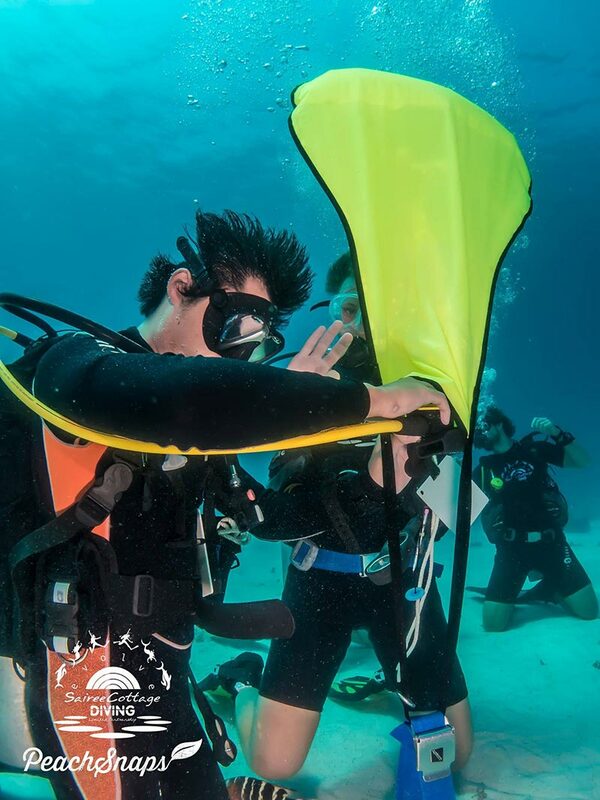 This is why we swear by our dedicated divemaster boat to give you the best training possible. You don’t want to feel like a nuisance or an after thought as a DMT, but as a member of the team that is taken seriously. 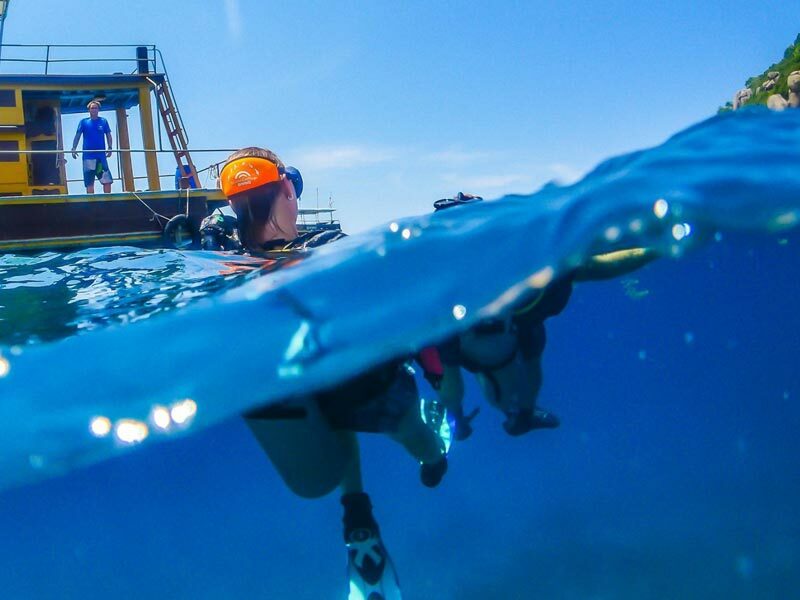 This is why having a flexible schedule and a dedicated divemaster boat is essential to succeeding in training to become a professional diver. Once again Sairee Cottage Diving has considered this and gone above and beyond to offer an unbeatable experience during your training. Introducing the Sairee Cottage Diving Divemaster Boat!! This glorious vessel is dedicated to professional training. This week we used it to complete our Search and Recovery dive, to do a few swims and some mapping practice. Meeting up casually, at the crack of 11:30am (hard life) we packed up all of our gear and embarked onto the Divemaster Boat. Making our way to the dive site ‘Twins’, we moored up and began our afternoon of training. The first 45 minutes we dedicated to the swim tests, beginning with the 800m snorkel swim. 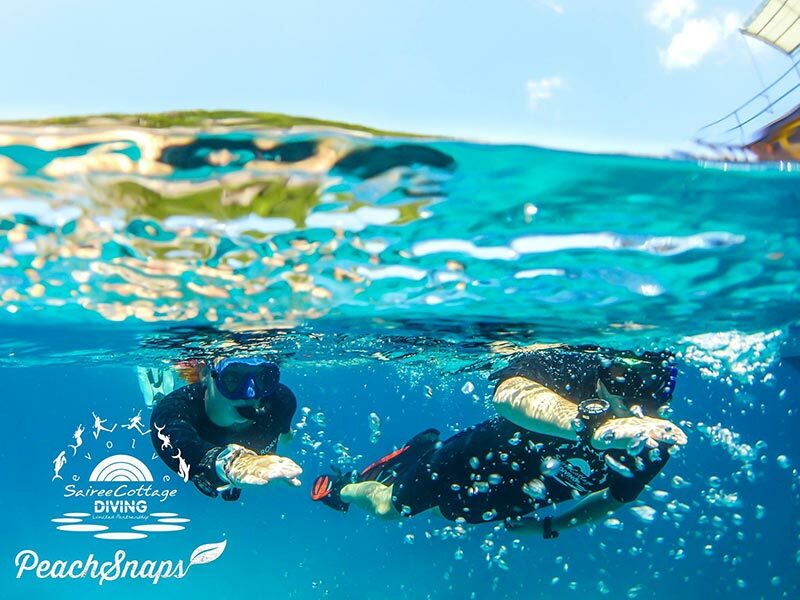 The 800m snorkel swim is the longest swim incorporated into the PADI Divemaster Course, this one is all about pacing yourself, making sure that you don’t tire yourself out before the end! I’m Happy to report Maira and Peter both set excellent times on their effort, smashing the allotted time by a good 2 minutes. After a small breather we got geared up in preparation for the 100m tired diver tow. The 100m tired diver tow is effectively a sprint, getting your poor, tired buddy back to the boat as quickly and efficiently as possible. Selecting the appropriate tow is vital in succeeding in this swim with our candidates usually opting for the modified diver push. We call this one the ‘Mickey Mouse’ as your buddy’s fins on your shoulders makes you look like you have massive ears!! Maira and James opted for the under arm tow, this one allows you to keep constant communication with your buddy, sacrificing a bit of streamlining for morale support as they calmed each other using encouraging words, during their efforts. Once again the allotted time was smashed, leaving our candidates exhausted but satisfied after two swim tests. After a bit of time relaxing and soaking up the sun, it was time to discuss our plan for the Search and Recovery Dive. The task at hand was to find an object underwater, safely secure said object to a safe lifting device or ‘lift bag’ and to bring that object to the surface maintaining control of your lifting device. We had a few success stories on this attempt with Peter nailing the behind the back Bowline, well played sir!! Much better than your brother Chris’ attempt, turns out he is very handy at making a hangman’s noose though, best not to ask where he learned that! Certainly not from us! Descending to the seabed at Koh Tao Dive site Twins allowed us to practice the knots once again underwater, all of our candidates were successful in their endeavors and resulted in a 100% pass rate for the first part of their Search and Recovery Dive. The second part was to locate your previously hidden item using appropriate search pattern, in this case we focused on the Expanding Square pattern (used for small search areas) and the ‘U’ pattern (used to cover a large area efficiently). In buddy teams of two our candidates performed both of these patterns to great success, finding all of the hidden objects well within the time frame. This left our budding professionals with one final task, to get their object up to the surface whilst maintaining control of their lifting device. Lift bags can be potentially dangerous when used improperly, which is why we always work in buddy teams when using and lifting device. 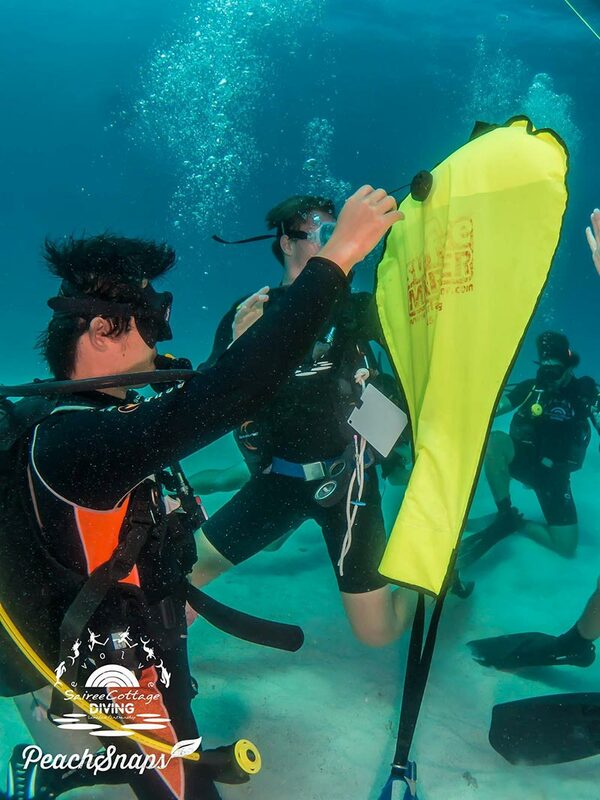 Combining our theoretical discussions with highly tuned dive skills, our candidates were able to complete the task with relative ease and demonstrate an incredible level of awareness to reduce, completely, our impact on the environment. The second dive of the afternoon was a more relaxed dive with our candidates going as one, on their mapping dive. The ability to create an accurate map of a dive site is a skill invaluable to that of a PADI Divemaster as it allows us to find new dive sites and evaluate new spots’ potential to be used for training and fun diving purposes. Equipped with their underwater slates (waterproof paper) our candidates searched every inch of the dive site and came back with fantastic results, ready to be transported onto full-size A4 paper and handed in. With our second dive done so too was our day. After a monumental afternoon’s training and diving we packed up our gear and headed back to Sairee Beach, situated on the Western Coast of Koh Tao. There, you may have guessed it; all the candidates enjoyed a refreshing beer at the pool bar, enthused by their efforts. Congratulations to Maira, Peter, James, Luke, David, Embla and Chris for the effort they put in and the exceptional results that came because of their hard work. You can now all Search and Recover like bosses!! It is this level of dedication to the Professional cause that truly elevates Sairee Cottage Diving far beyond the normal expectations of the average dive school. 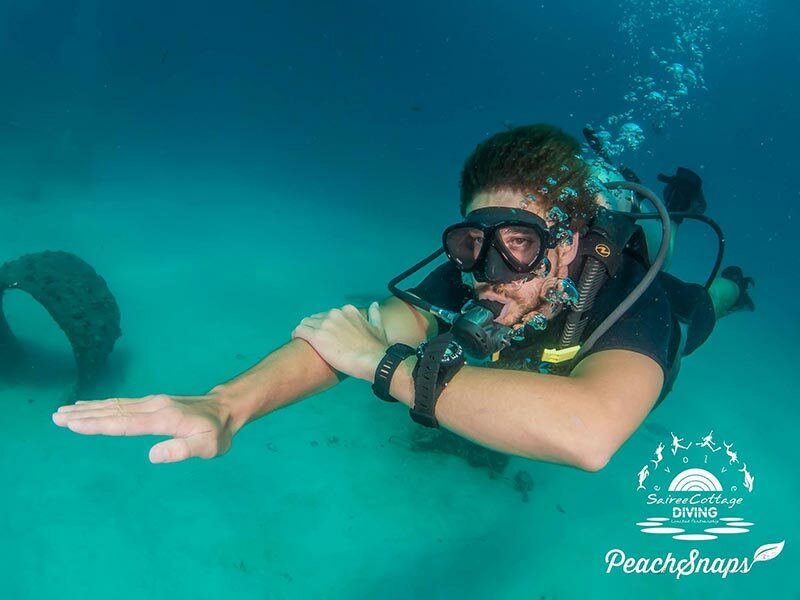 Cultivating an atmosphere second to none with regards to taking your diving to the next level by becoming a Professional PADI Divemaster. 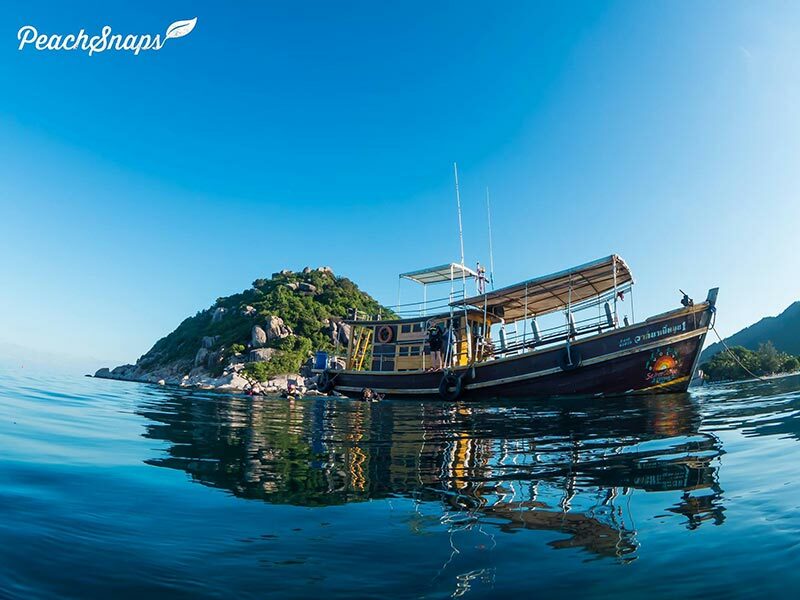 If having your own private boat is something that you would like to experience (without all the maintenance issues) then look no further for Professional PADI Divemaster Courses in Koh Tao, Thailand than Sairee Cottage Diving. 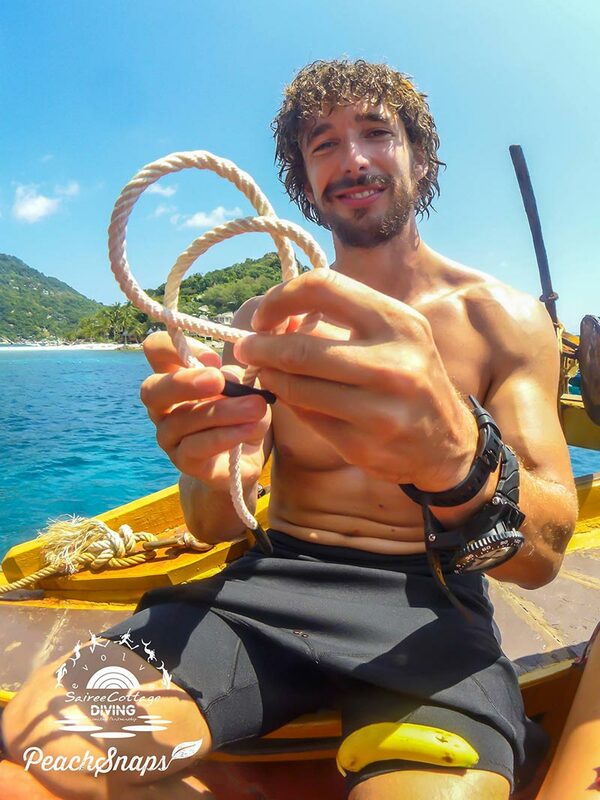 I look forward to seeing you here with us, in the near future and showing you how to ‘Search and Recover’, on your own professionally dedicated divemaster boat!!! 1. Is there dedicated senior instructors taking care of your training? 2. 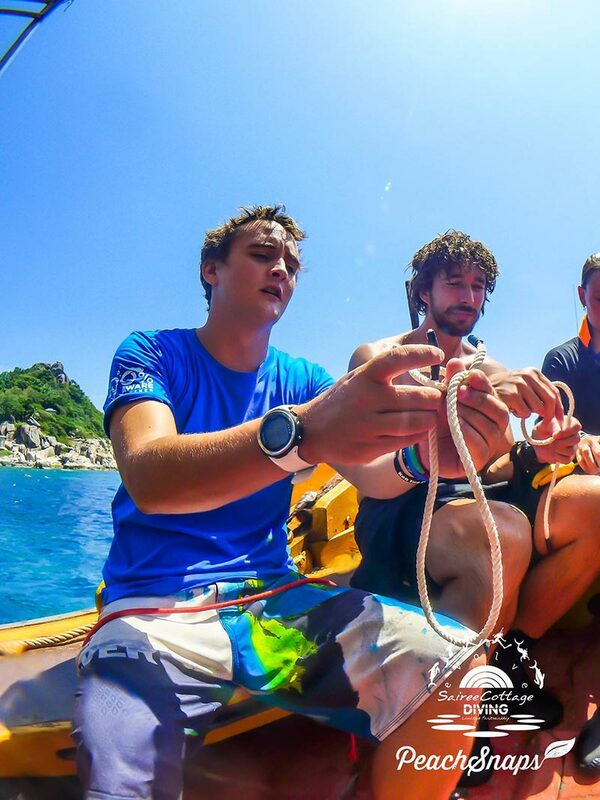 Is there a dedicated divemaster boat available to complete divemaster skills? 3. 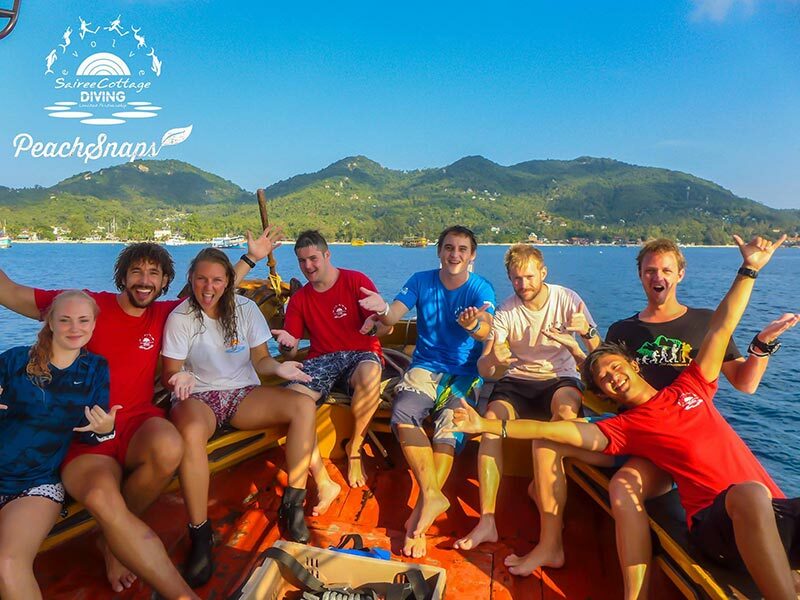 Do you offer free accommodation for the duration of the divemaster course? All information about Sairee Cottage Diving’s PADI Divemaster Courses can be found at www.divemastercourses.com and any inquiries can be made through the Sairee Cottage website. Well done lads. Very proud of you both. Never thought I’d ser you studying in clasdroom and enjoying it. Glad ye have found what ye like to do and are getting Fully Qualified in it. Well done Sairee and padi.